Date: Mar 16 2019, 6 p.m. 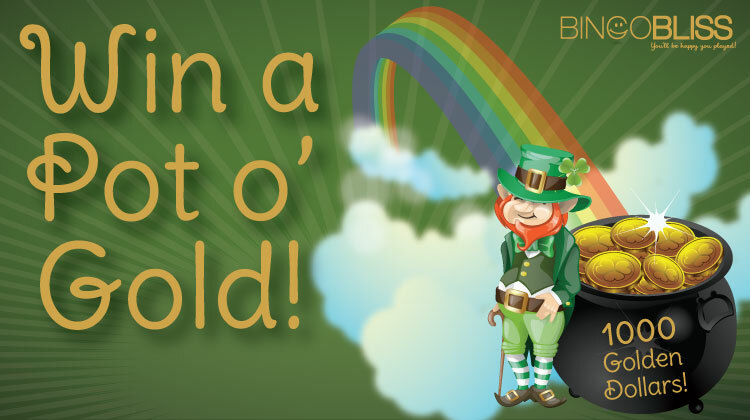 The more nights you play bingo the more chances you have to win the 1,000 golden dollars at Pot O' Gold Bingo March 16th! Play regular Bingo Bliss on February 27, March 2, 6, 9, and 13 for additional chances to win the jackpot. Each night you play you get an entry into the final drawing on March 16th. Winner must be present to claim the prize. Click here to download the flyer and bingo program. Bingo Bliss is located at the Metro Bingo Bar inside the Centennial and is played every Wednesday and Saturday, Early Bird starts at 5:30pm! For more information, call 915-744-8427. Electronics are available for an additional cost.